Fig. 7. 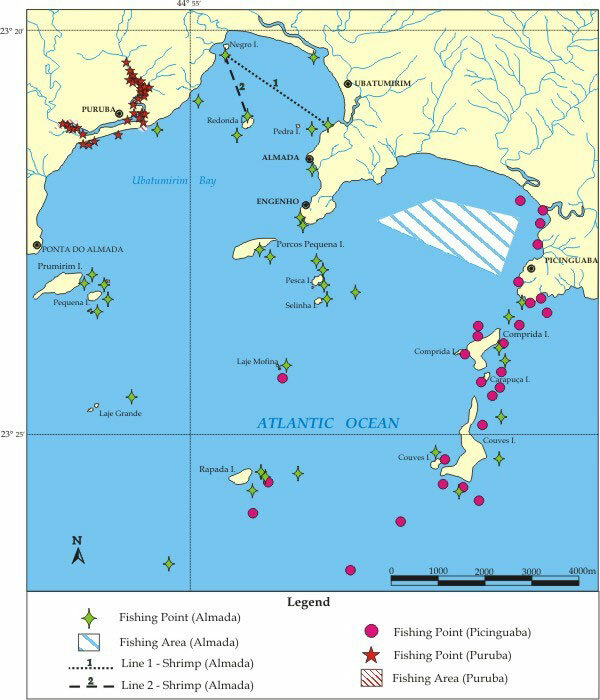 Fishing spots marked at Picinguaba by two informants in 2003, and at Almada-Engenho Beaches, São Paulo State in 2004.